Syria’s main opposition National Coalition re-elected Ahmad Jarba as its leader during a general assembly meeting in Istanbul on Sunday, the coalition said in a statement. Jarba won 65 votes, beating his only rival Riad Hijab -- the best-known defector from the regime of President Bashar al-Assad -- by 13 votes. 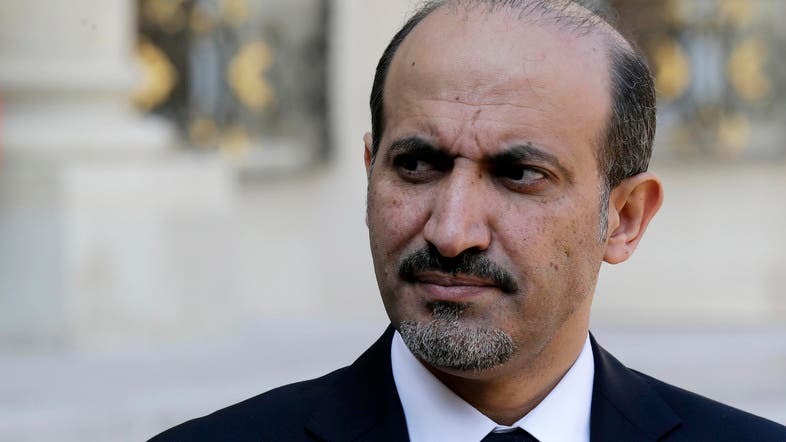 Jarba, who is seen as close to key rebel backer Saudi Arabia, was first elected to head the Coalition in July, and will now lead the group for another six months. His re-election comes at a sensitive time, less than three weeks away from slated peace talks in Switzerland that would bring rebels and regime representatives to the table. The Coalition is set to discuss on Monday whether to take part in the peace talks, though a key bloc -- the Syrian National Council -- has already announced it will boycott the so-called Geneva 2 process. The Coalition also voted in three of its members as vice-presidents: Noura Al-Amir, Abdel Hakim Bashar and Faruq Tayfur, the statement said. It was slated to vote in a new secretary general, but has not yet agreed on whether powerful, Qatar-linked businessman Mustafa al-Sabbagh or the current post-holder, Badr Jamous, will take the post. Born in 1969 in the northeastern city of Qamishli, on the border with Turkey, Jarba is a Sunni Muslim who has tried to convince Arab and Western nations to arm the rebels. In his six months as Coalition leader, he has appeared more subdued than previous opposition chiefs who had higher profiles as veteran dissidents. Jarba’s re-election comes deep into a crisis within the main opposition group, which is based outside Syria. Many opponents and rebels on the ground feel the Coalition has failed to represent them.